Barriers foot and hoof products are radically different. They contain powerful and very concentrated anti-bacterial, anti-fungal and anti-viral ingredients. Easy and pleasant to use, causing absolutely no pain to the animal or user. Suitable for use in organic farming systems. Fungicidal Foot Bath contains only the highest quality concentrated plant derived ingredients. All the ingredients are known to possess powerful anti-bacterial and anti-fungal agents and together they helps to protect against lameness caused by fungal conditions. 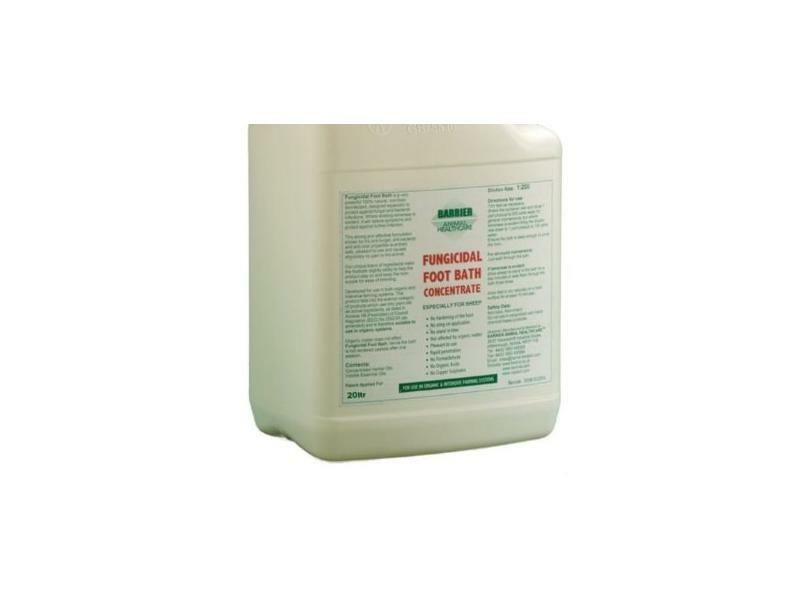 Fungicidal Foot Bath is used especially to help maintain healthy feet in Sheep. 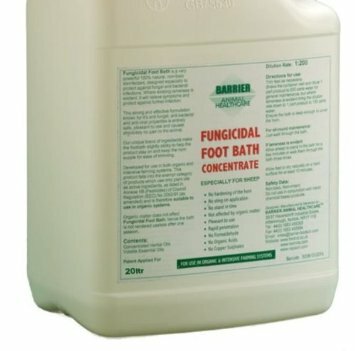 Fungicidal Foot Bath is entirely non-toxic and non-irritant. The product does not fall under COSSH or CHIP regulations. Although Fungicidal Foot Spray was designed for use in intensive farming, where saving time and money is of the utmost importance, it is also suitable for use in organic farming systems. as it falls into the exempt category of products which use only plant oils as active ingredients, as listed in Annexe IIB (Pesticides) of Council Regulation (EEC) No 2092/91 (as amended). No sting on application and animals do not seem to mind the bath at all. Where lameness is evident, hold in the bath for 3 minutes or walk round three times. Fungicidal Foot Bath keeps the horn supple for easy trimming. There are currently no questions for Barrier Fungicidal Foot Bath for Sheep - be the first to ask one!